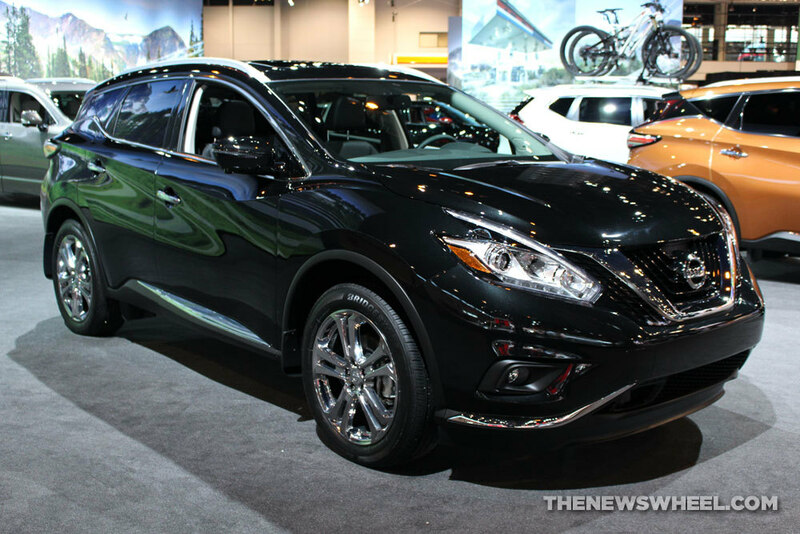 The 2016 Nissan Murano has been named US News & World Report’s Best 2-Row SUV for Families. This is the second time the Murano received an award from the publication this year, after being named one of its “Best Cars for the Money” back in February. US News & World Report looked at 256 new cars, SUVs, and minivans currently on sale to determine the best vehicles in each major segment. Safety and reliability ratings, seating and cargo volume, family-friendly feature availability, and professional automotive reviews were all taken into consideration during the ranking process. Experience the 2016 Nissan Murano in a test drive at James Ceranti Nissan! Daredevils are getting more exposure around the world thanks to social media and sharing sites like YouTube. Still, there are some things that should be left to the professionals, like Terry Grant. All automakers show off their vehicles at the Goodwood Festival of Speed, but this year Nissan stole the show. Toyota brought NASCAR Camrys and Tundras. Honda blew everyone away by setting up the best stage. Mazda literally blew things up with a firework show for the ages. Meanwhile, Nissan took on the Goodwood Hillclimb Course and set a new Guinness World Record on day one of the festival. At 1.16 miles, the Goodwood Hillclimb Course isn’t the longest of its kind but it would still leave many daredevil drivers shaking their heads. That’s where Terry Grant comes in. Grant got behind the wheel of a Nissan Juke RS Nismo and covered the entire course on two wheels. He completed it in just two minutes and ten seconds, shattering the previous record by 35 seconds. If you aren’t familiar with Nissan’s lineup, keep in mind the Juke is a crossover meant to roll on four wheels, not two. Keep your tires on the ground and don’t try this one at home! We here at James Ceranti Nissan are glad to see drivers proving with Nissan, all things are possible! When you think of the term ‘off-roader’ many things come to mind. You may think of a big, muscular, mammoth looking truck-based SUV that can run over anything and everything in its path. You also probably imagine a vehicle that can take on gravel, dirt, small pools of water, and any other type of terrain it meets. It’s likely that most vehicles described as off-roaders don’t do well as vehicles for everyday driving. 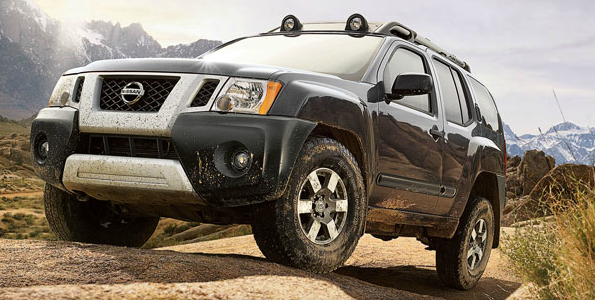 The Nissan Xterra is the off-roader that breaks the mold. This SUV is powerful and brawny, yet easy to drive for everyday commutes, and has recently been ranked on Edmunds’ Consumers’ Favorites poll of Best Off-Roaders. With a versatile cargo area and easy-to-clean interior, Xterra is a capable compact SUV that isn’t afraid to get a little dirty. It’s great as an off-road vehicle and provides a surprising pleasant on-road driving experience for a rugged SUV. Xterra ranked fourth overall on Edmunds’ list of Best Off-Roaders. If you’re looking for a more than capable off-road vehicle that can survive in the real world, the Nissan Xterra is the ultimate choice for you. Stop by James Ceranti Nissan and take it for a spin. Visit our Greenville, MS dealership in person or online at www.jamescerantinissan.net for more information. Tire pressure gauges too confusing to figure out? Never sure just when to put more air in your tires? Had more flats than a shoe store? Thankfully, James Ceranti Nissan has a solution—Nissan’s all-new Easy Fill Tire Alert. The Easy Fill Tire Alert system was just named one of six finalists by AOL Auto for the 2012 Technology of the Year Award. The winner will be announced January 9, 2013 at the International Consumer Electronics Show in Las Vegas, Nevada. We at James Ceranti Nissan are feeling confident about the chances for the Easy Fill Tire Alert. So what makes the Easy Fill Tire Alert so incredible? The system uses tire pressure monitoring sensors that will alert you as soon as your tire pressure drops below a safe level. This is very important as so many drivers unknowingly drive at dangerous pressure levels, which makes them much more likely to get into an accident. Once you stop to put more air into the low tire(s), the system will activate four-way flashers that indicate that a tire is being filled. When the tire has reached the appropriate level, the car will honk. If for some odd reason you persist, the car will keep honking to let you know you’ve filled it too high, and then as you release air, it will honk again to let you know you’ve reached the right level. The technology is really ingenious. For 2013, Nissan plans to add the system to the Nissan Altima, the Quest minivan, the all-new Pathfinder three-row SUV, and the Sentra sedan. We expect it will make its way into all Nissan and Infiniti vehicles in the coming years. Find this technology now in some 2013 Nissan vehicles at James Ceranti Nissan, www.jamescerantinissan.net. Popular Science magazine has named their “2012 Best of What’s New” products and innovations. The list includes top tech innovations that represent significant advancements across twelve categories. 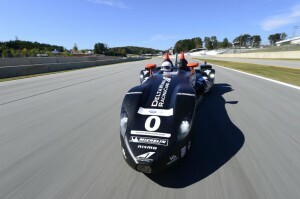 The Nissan DeltaWing has been included on this list. Debuting this past summer at the 24 Hours of Le Mans endurance race in France, DeltaWing is a ground-breaking racecar that features half the weight of the typical Le Mans prototype car. It also only consumes about half the fuel of these other racecars. With a funky design and nimble handling, the Nissan Cube offers standout styling a spirited ride for urban drivers. One of the most surprising features of Cube is its affordability. The Nissan Cube made Edmunds’ Consumers’ Favorites Poll of Best Economy Cars. You can find the 2012 Cube now at our Greenville dealership. 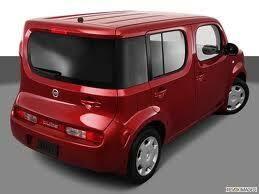 The 2012 Nissan Cube delivers ample passenger and cargo space as well as versatility. The 1.8-liter 4-cylinder engine under the hood produces 122 horsepower and received EPA estimated mileage of 25 mpg city and 30 mpg highway. Amenities include a trip computer, variable speed intermittent wipers, auxiliary audio input, CD player, MP3 player, and power steering. Cube received the distinction of Top Safety Pick by the Insurance Institute for Highway Safety for 2012. As such, this vehicle received the highest rating possible in the following four tests: roof strength test, side impact test, frontal offset test, and rear crash protection. Standard safety features include brake assist, front disc/rear drum brakes, electronic stability control, and driver and passenger air bags. Get behind the wheel of this spunky and eye-catching economy car today. This 2012 Nissan Cube is now available at James Ceranti Nissan. Visit our Greenville dealership in person or online at www.jamescerantinissan.net to view photos and information on current Nissan inventory. With a funky exterior and plenty of space for people and cargo, it’s easy to see why the 2012 Nissan Murano took the number one spot on Kelley Blue Book’s list of Top 10 Head Turners of 2012. While the exterior of the Murano displays an eye-catching futuristic design, it’s the interior that really shines. Driver and passenger seating is comfortable and supportive. Wood contrasts provide a tasteful, luxurious feel to the LE trim while other trims receive fashionable aluminum contrasts. An array of convenience features are available on the Murano, such as keyless start, trip computer, variable speed intermittent wipers, adjustable steering wheel, CD changer, and dual zone A/C. Stop by our Greenville dealership today to experience the Murano for yourself. Learn more about our available inventory by visiting us at http://jamescerantinissan.net/New-Inventory.aspx. How satisfied are you with your new truck? Over 75,000 vehicle owners responded to this question as part of the 16th Annual Vehicle Satisfaction Awards, and the 2012 Nissan Frontier pulled ahead with top honors in the subcompact truck category. Respondents to the survey, conducted by Autobytel and AutoPacific, rated 48 attributes for importance in the purchase decision and satisfaction after purchase. Vehicles rated were new 2012 model cars and trucks purchased from September through December of 2011, and the survey took place in January and February of 2012. The Nissan Frontier is no stranger to awards this year. Frontier was first in the Texas Auto Writers Association’s 2011 Texas Truck Rodeo mid-size pickup category. The Frontier was also included in Insure.com’s ‘Least Expensive to Insure’ list and Kelly Blue Book’s Best Resale Value Award: Top Ten models. The 2012 Nissan Frontier is available now at James Ceranti Nissan.